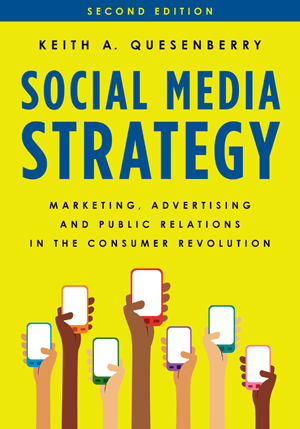 Welcome to the Companion Website for Social Media Strategy, Second Edition, by Keith A. Quesenberry. Social Media Strategy is a guide to marketing, advertising, and public relations in a world of social media-empowered consumers. The new edition emphasizes connections in all areas of integrated marketing and adds a new chapter on law. Fully updated real world examples and statistics make it a highly accessible text for students. This open-access Companion Website is designed to reinforce the concepts covered in Social Media Strategy. You can download these PDF templates to help apply the principals covered within the text to your current social media presence, whether personal or professional. In addition to these PDF templates, instructor ancillaries for this title include sample syllabi for both undergraduate and graduate level courses, an instructor manual and a specialized assignment for social media planning. Instructor ancillaries are password-protected. For access to the teaching materials, please visit Social Media Strategy and Sign in if you are a registered user. First-time users should Register then email us at textbooks@rowman.com.